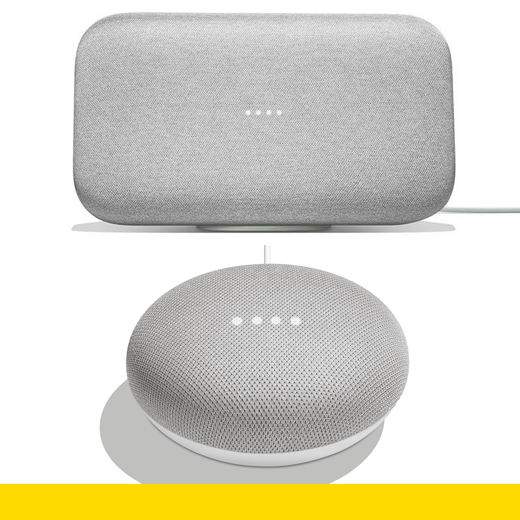 Google Home Max & Google Home Mini are the next iterations of the Google Home line, completing the full-home experience. Google’s vision is to build simple solutions that work in the background, helping when users need it and staying out of the way when they don’t. The home is a special, intimate place, and people are particularly selective about what they welcome into it. Google Home Max was designed entirely with that in mind, appropriately blending in just the right amount. The front face of the device is a full flood of fabric with a discreet visual UI. With far-field voice control, Max can hear users across the room, even while music is playing. Google wanted Mini to deliver a premium product experience at a very low price point. Mini brings the Assistant to every room, giving answers from Google and the ability to check calendars and listen to podcasts.